Last Tuesday, September 25th, Bodegas TEMPORE was awarded by the Gastronomic Association of Aragón as the Best Winery in Aragón 2018. We believe that this award is a tribute to the tradition and experience we have gained after 4 generations of vine growing. We decided to focus our knowledge in organic farming to deliver the best wines that this land has to offer following a very simple step: Respect for the Land, Passion for Wine. BEST RESTAURANT: Callizo Restaurant in Aínsa. BEST WORK IN GASTRONOMIC DIFUSSION: Eugenio Monesma. 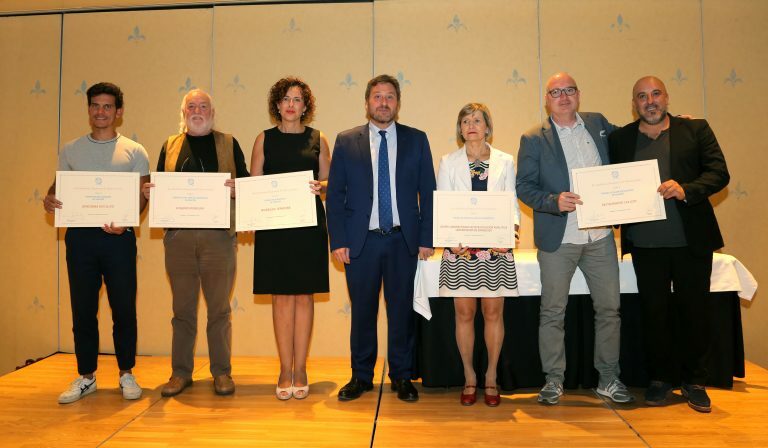 BEST WORK IN GASTRONOMIC RESEARCH: "Grupo Universitario de Investigación Analítica (GUIA)" of Zaragoza University. BEST OLIVE OIL MILL: "Apadrina un olivo", Oliete, Teruel. Thanks a lot to all the people that have believed in us and have walked by our side until this exciting moment. And congratulations to the rest of the winners. This award makes us continue fighting for our dreams and projects! Cheers!